Just a little recap of the blog posts of Erzullie's week! #1 This week's Monday Mantra. "I am Confident With My Curves" --- because why not? #3 On Tuesday Topic, we have asked if we, the plus size community, turned into the bully that we hate? Click here for more and share your view (respectfully of course!). #4 For Wednesday Wear: In this summer heat, CHIFFON is your best friend! Click here to find fashion tips on how to wear a chiffon top and our best selling, girdle skirt! #5 Plus Size Model and Erzullie Icon, Loren Monares, officially celebrates one great achievement in the history of the brand. She is the first Erzullie Icon to be active for a full year! Congratulations, Erzulliesta! #6 Get some style inspiration with some Saharan Glamour inspired accessories! #7 Feeling a little down? Here is a positive push for the Erzulliesta that needs it! #8 For Fierce Friday, we have posted a photo about the Erzulliesta's eyes. Click here to see the photo. #9 Before the Erzullie Resort 2013 collection is released, we have made a Resort 2012 collection special --- Resort 2012: A Look Back. 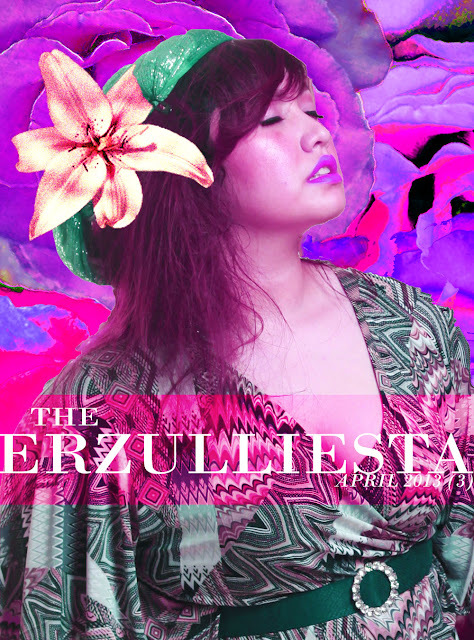 #10 Before the main event of the week: Erzullie First Look: Resort 2013 we shared some of our thoughts about it a few hours before it actually happened. We have been doing this for a year now but each and every time we get nervous still so Click here and unfold the thoughts.